Our team is represented in Vermont by Brazilian Jiu-Jitsu 2nd Degree Black Belt, Trevor Sargent. Professor Sargent teaches BJJ classes at the Train Station Gym in Saint Albans, Vermont. With over 15 years of experience training and teaching Brazilian Jiu-Jitsu, Professor Sargent and Professor Olivier, from Apocalypse BJJ, have trained together since their start in our martial art. Sargent Brazilian Jiu-Jitsu provides extremely technical classes, rich in details, and current with all the new techniques that we see every day in all major tournaments around the country. Sargent Brazilian Jiu-Jitsu fosters a no ego atmosphere where the doors are always open for students from any affiliation to come share the art. Professor Sargent is also a law enforcement officer, successfully instructing other police officers in the art of BJJ for Self-Defense. 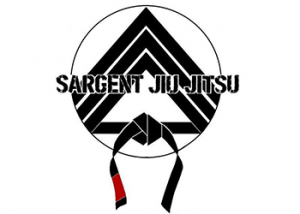 Sargent Brazilian Jiu-Jitsu at the Train Station Gym is located at 248 North Main Street, Albans, VT.